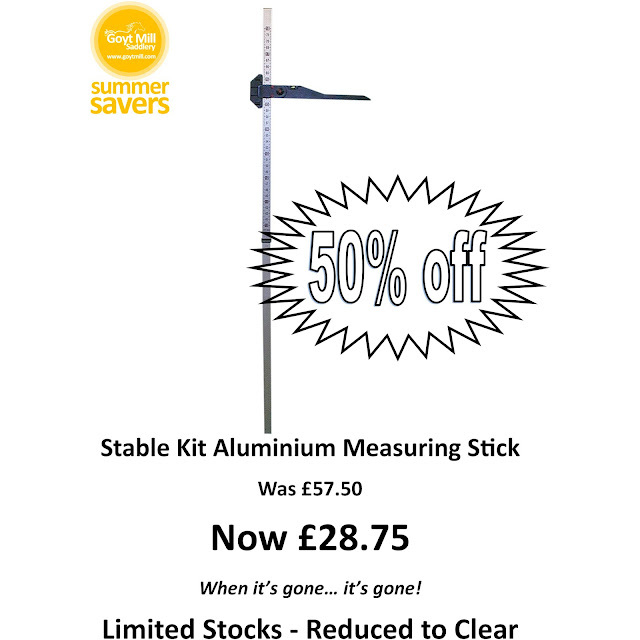 The Stable Kit Aluminium Measuring Stick is an easy to use horse measure with extending stem, folding arm and spirit level. Marked in hands and centimetres. PLEASE NOTE: Due to issues shipping this item we only sell these items for in-store collection. When it’s gone… it’s gone!